Do you need some rest and relaxation? Has life lost a bit of its sweetness? Is it time to stand tall and face potential threats without fear? 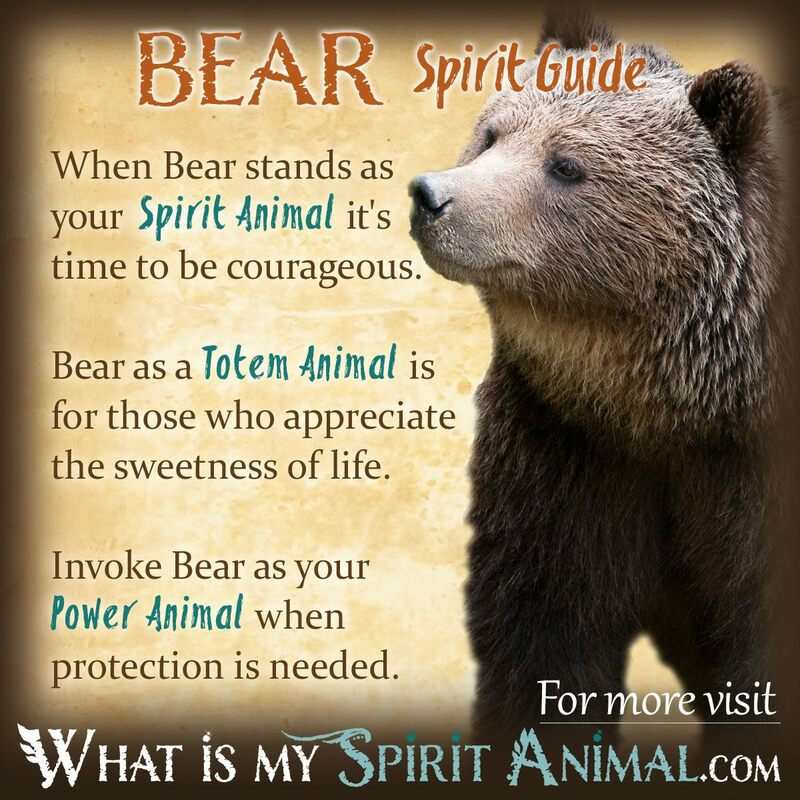 Bear as a Spirit, Totem, and Power Animal can help! Bear teaches you to trust your instincts and let go of all that blocks your path. 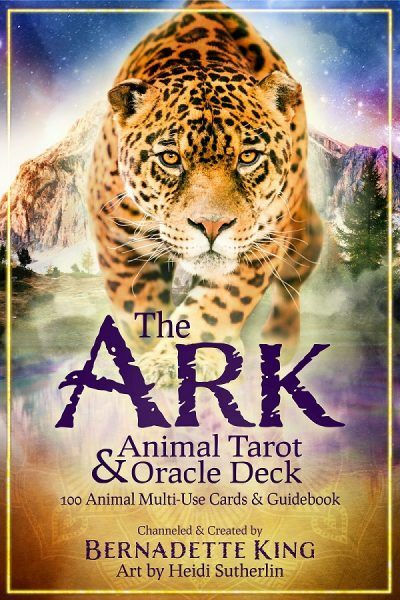 Delve deeply in Bear symbolism and meaning to find out how this animal spirit guide can support, strength, and empower you. Because you’re seeking the teachings of Bear Medicine, it’s a sign your higher self is preparing you for a position of leadership – if only in your own life. 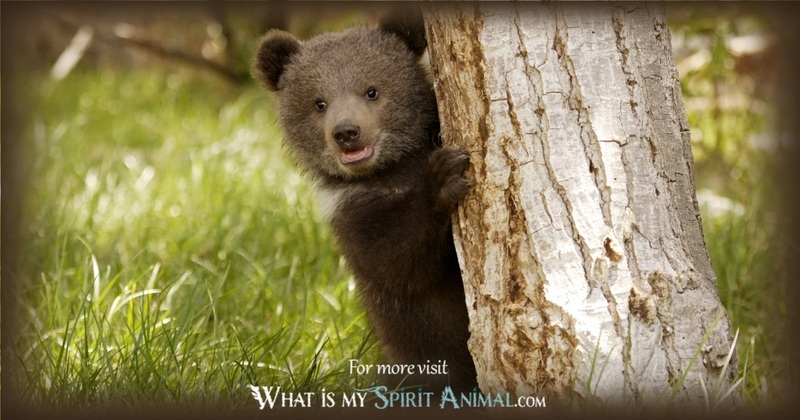 When bear comes wandering into your life there are several things this Animal Spirit may be trying to tell you. For example, if you are a parent, images of a she-bear are very powerful. Your children may need your protection from a group, person or situation. In less specific terms, Bear Spirit provides us with strength in times when we feel weak or helpless. Life can prove challenging, and Bear is definitely up to the task – no matter the source. If you have been swallowing your words and compromising your vision, Bear’s message is stay TRUE. Sometimes Bear asks us to accept an authoritative role, not only directing our own lives but guiding others. Think of the height and weight of the Bear – it demands respect. This is not the time to “play dead” but rather engage and inspire! 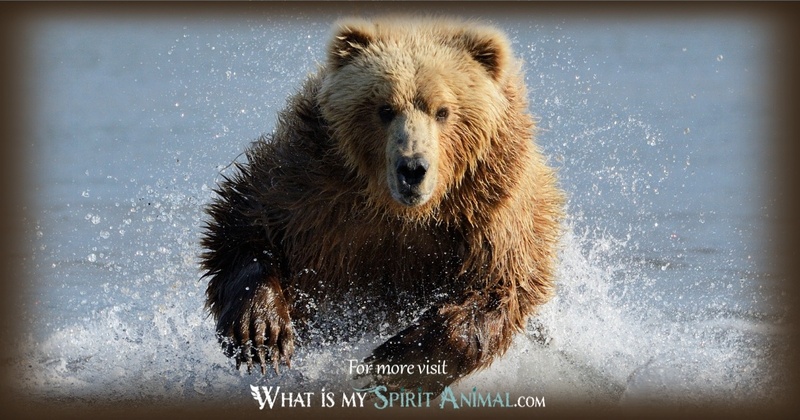 Bear Spirit has close ties with Shamanic tradition particularly in Northern America and Siberia. A polar bear specifically receives veneration as a sage and educator. Vikings wore bear skins to frighten on-coming hoards and invoke the strength of the bear in battle. When we look at Bear’s hibernation cycle we are also reminded of the value of rest, quiet and privacy, particularly in our busy society. It is important to move away from daily clamor so we can truly listen to our higher selves and the Divine. During the Han Dynasty Bears were worshiped in China. This symbol was so potent that Bear became a Totem Animal for the country. Panda bears are well-known in this region and people regard them as a symbol of prosperity, plenty, taking life slow and putting ourselves to more than one task successfully. In Feng Shui the Bear is masculine. Bear figures placed near the front doorway act as guardians for everyone therein. For someone expecting a child, keeping a Bear statue is one way of ensuring a healthy baby (typically a boy). Among the Ainu of Japan Bear was a god in an animal disguise. When Bear as a Spirit Animal comes to stand beside you, there’s the assurance of renewed power and courage. Whatever adversity you face, Bear holds you firm and keeps you grounded until hardships pass. Afterward Bear won’t simply disappear, but rather remains in your awareness facilitating healing in body, mind and spirit. See, Bears are among the ultimate protectors. While many in the animal kingdom willingly give up their lives in order to protect their young, Few are as fearless as Bear. Once that kind of bravery takes root in your soul, it will forever be there. Bear may have also arrived at a time of self-examination. This could be a moment where you need “cave time” so you can really listen to your heart instead of 101 voices all of whom, while well meaning, seem to think they know what’s best for you. Find your truth. Then, live it with the same humor and honor as does Bear. If you were born with a Bear Totem (or have chosen this mighty but humorous and playful creature as your Totem Animal) you have natural fortitude, assurance and aptitude when taking on leadership roles. Among Native Americans Bear represents extremely strong medicine including the special powers in the areas of wisdom, strength and healing. So much is the case that several tribes, including the Zuni carry or wear Bear charms and fetishes for luck & to keep the power of Bear Spirit with them at all times. Pueblo tradition tells us Bear guards the Western quarter of creation. Native lore often speaks of Bear as a disciplinary Animal Spirit that meets out judgment on bad mannered humans. Various tribes have Bear clans including the Chippewa, Creek, Algonquian, Huron and Hopi. Some tribes have a Bear dance that was thought to empower warriors and ensure a protective hunt. Finally Bear is strongly associated with the Medicine Man or Shaman of several tribes. Celtic tradition weaved many different animal symbols into a cohesive mythology including the Bear. As one example, there’s Artio, the goddess of wildlife who took the form of a Bear. It’s thought that hunters invoked her spirit to guide them to safety and success. Generally this animal spirit guide symbolized strength and power, including that of God. One illustration of this came at Winter Solstice when people ritually called upon the Great Bear for safety through the dark winter months. Additionally the Celtic god Cernunnos appears with bears in various illustrations. Effectively Bear is the Primal Mother who guides and protects, which is why bear claws often became amulets and talismans. In dream interpretation, Bear dreams have a wide variety of meanings depending on the type, color and action the creature takes and the cultural context. For example in Arab communities meeting a Bear represents conflict with a powerful and energetic enemy, in Europe it means potential danger and in China it presages the birth of a son. However, overall, Bear appearing in your dreams symbolizes a time when you need to reclaim your space and place in the world. Trust your instincts and listen to your heart before doing something compulsive and potentially detrimental. For more information on dreams about bears, read “Dreams About Bears,” here on WhatIsMySpiritAnimal.com. Bear is one of the 12 Native American Zodiac Signs. 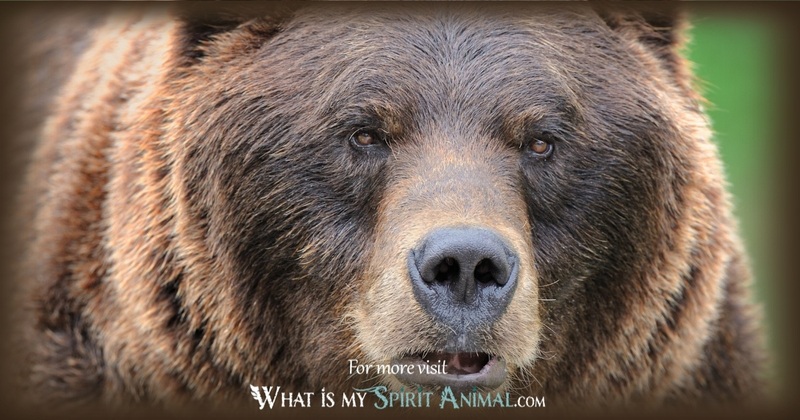 Click to read all about the Bear Totem in Native American Astrology. Bear is not one of the traditional Chinese Zodiac, but the bear does appear as a constellation called Dou, what we refer to as the Big Bear or Ursa Major. The symbolism of this star groupings is generally that of strength, courage and male energy. An exception occurs among Taoists who personify Dou as the chief star goddess who embodies dawn and light. Her powers include healing through visualization, safe childbirth and nurturing. The Celtic zodiac sign of bear ties to the Alder moon (March 18 – April 14). Being born during this period gives you a strong mystical curiosity and sensitivity along with the primitive courage known to bear and a keen sense of adventure. Key symbolism: Zeal for life, protective of family, bravery and inquisitiveness. The Aztec zodiac tradition and Aztec calendar do not utilize the bear. We do however see the god Tezcatlipoca associated with Ursa Major. From there, he watches over warriors and may appear to them at crossroads with a challenge. See Panda Bear Symbolism & Meanings. Twice now I have been in a car that has hit a black bear. Both times it popped out of thin air and bumped into us. And both times I was on my way to work for people I didn’t trust in my gut.. but was following a ego based need for financial security… rather than staying content with being poor and spiritually rich. For a while now, and especially since my father passed away I have been taking pictures in my bedroom before I settle to go to sleep. One such picture shows a cloudy mass just at my door. It wasn`t until I zoomed into the picture that it revealed a perfect image of a bear! no exaggeration. A perfect white outline of a bears head, ears and shoulders as well as its face perfectly visible within this mass. For a week or two I`ve wondered what a bear `orb` was doing in my bedroom. Tonight, I have started to discover why a bear spirit might appear. It makes sense now – but ofcourse I still have questions. For as long as I can remember, my life has been fraught by attack from others. My spirit is weak, and I am very much alone in so many ways, I wish I knew how to seek strength from this bear spirit. To me it sounds like the bear is giving you the message that you are never alone. As both a huge fan of bears and a photographer I have learned much from both. Believe me if you listen the message will become clear. There is a reason why the bear appeared after your Father passed and there is a reason it appears in the door instead of coming into the room. Animals sense our energy and act accordingly. But, no one can really tell you what his means to you except for you. I have also learned from experience that listening to others tell you what they think usually ends up with them telling you that really applies to them. I have learned a lot from photography because after my husband died that is all I would do for a long time. Only reason I got out of bed some days. It opened me up to a lot of things but things that only have meaning to me. And you are never alone. Your body is but your soul never is. Love and peace! i wanted to print this information on the bear spirit, but I can’t. I want to include it in a gift card for my daughter who is going thru treatment for the first time. So disappointed. I hope you’ll understand why I disallow copying of my copyrighted artwork and content. However, given that it’s for your daughter and will help give her support during a rough time, please email me and I’ll send you a digital copy. 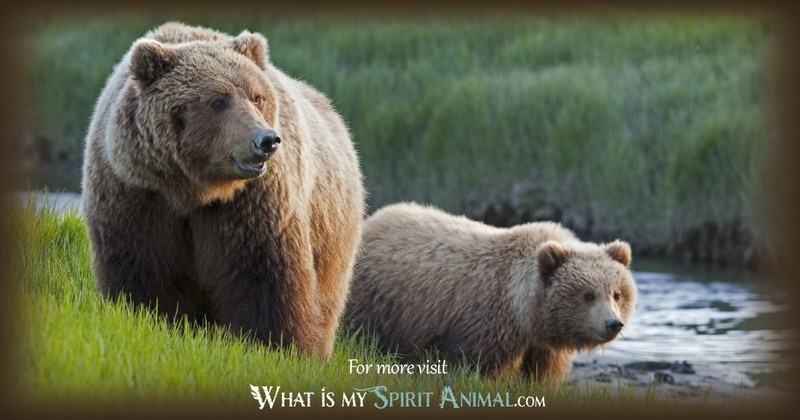 My healing prayers are with you and your family and I feel confident all the Wild Ones here at WhatIsMySpiritAnimal.com are sending love as well. What does it mean if I have only seen a bear in the wild twice in my life and in the past month I have seen two? One came out of my yard and the other was when we were on a family vacation 10 hours away from home. I had just started reading a book on spirit guides. Is there any significance? Hello, before my mother died….I have had a dream of black bear cubs running in a circle around me, as I was standing in the middle of the kitchen floor. Then they all ran out the, Kitchen following behind so, what would this mean ? in my meditation … i was in woods. was very peacefull, beautiful and magical autumn. from behind a tree, bear came out. i raised gently my left arm and invited him to come closer. the bear did. i touched him. and then i sat up on him. and he allowed me to ride on his back. he could also talk to me. from mind to mind. it was wonderful experience. I saw a creek with sun shining on right side, there was four brown Bear, first large male standing with a Crown of sun bleached antlers on his head, next to him was a mother and two cubs! Before this vision I was with my Father on a logging box type zip line in thick forest I saw my fathers shadow only and he was next to me and he handed me a 22 caliber rifle and I felt his warm open hand as I grabbed shells and he was teasing me,I was hunting with wrong gun! Then a boy shadow was next to us! Then I saw creek with sun shining on the Bears! I woke up in tears and I can still feel and see this vision after 15 years! Bear is man without fire! I had dream 3 weeks after his death! I’ve been relieved knowing I will stand before him and my ansesters to return my name! Ive painted three bears for three of my most traumatic exes. Every time I painted it and gifted it to them near the end of our relationship. On reflection I started to wonder if Bears are a bad omen for me. That when it appears it means I should run… But now I realize the bear was protecting me. I feel like I am the bear. I know that sounds crazy but I feel kind of powerful and amazed realizing this now. I have been overwhelmed with panic attack’s and I’m stuck at home. Last night I had a dream of a brown female bear at a Native American festival at first I was scared and didn’t want to go near the bear but she followed me. I eventually kneeled down and strokes the bear and she almost smiled and me and was very loving.